American dance legend William Christensen founded Ballet West with the help of Utah’s “First Lady of the Arts,” Glenn Walker Wallis. Born out of the University of Utah’s ballet department, it was, at its founding, the only professional ballet company between Chicago and the West Coast. It quickly became one of the leading companies in the nation and one of Utah’s most prominent cultural ambassadors to the world. 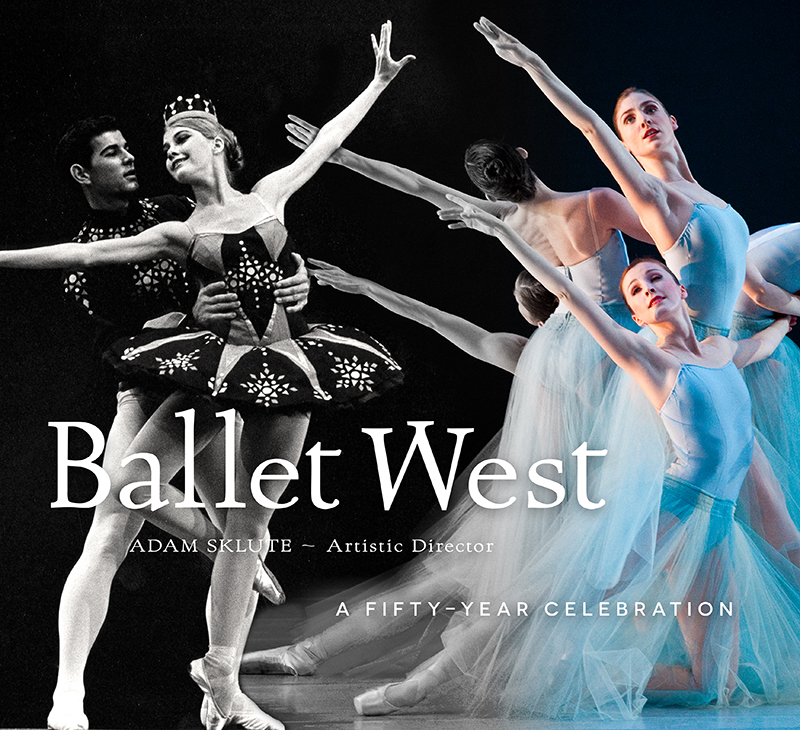 This richly illustrated book celebrates Ballet West’s first fifty years, sharing the challenges, innovations, and successes that have brought it through the decades. From humble beginnings to international renown, Ballet West’s directors, dancers, choreographers, and teachers have crafted an American success story from hard work, perseverance, and great artistry. Accompanied by over two hundred photographs, the company’s history is told chronologically through and by Ballet West’s artistic directors, each representing an era of change for the company. Anecdotes and personal reflections recall the circumstances that brought the directors to Ballet West, their experiences with the company, and how the company expanded. The book includes a roster of Ballet West’s dancers, past and present, and a list of all performances from the first fifty years. It also includes a special photo section devoted to the company’s beloved annual Nutcracker performance. Selected as a finalist in the New Mexico Book Association's trade book illustrated category. Adam Sklute has been artistic director of Ballet West since 2007. Prior to joining Ballet West he was with the Joffrey Ballet, moving from dancer to associate director over his twenty-three years with that company. He is a recipient of The Bronze Minuteman Award for outstanding service to Utah and the nation and in 2007 he was listed among the 25 Movers and Shakers of the Utah Arts Scene. Sklute is also a member of Utah’s Enlightened 50 for 2014.